Spinach fatayer which is also known as Fatayer sabanekh is quite famous in Middle Eastern countries. 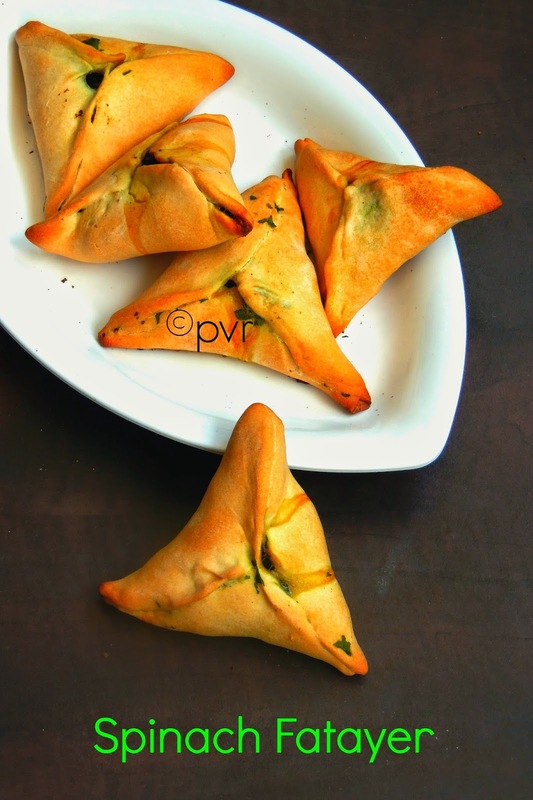 This spinach pastry triangles are prefect finger food, they can be eaten as starters or snacks. 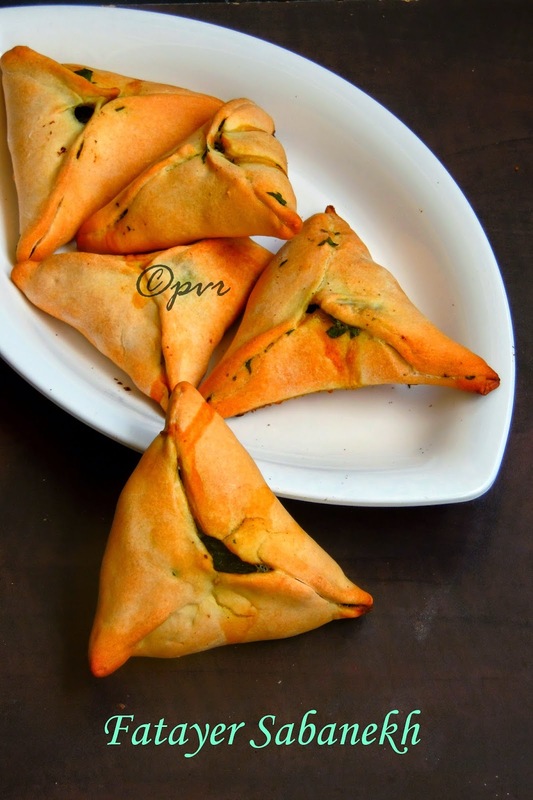 Its really very easy to make this spinach pastry triangle and its completely guilt free. Yes these triangles are baked one's and they take hardly very less time to get ready. No cooking is needed, just make the dough and the filling is quite enough to prepare this excellent starter. Chopped spinach spiced with oil, pepper powder, salt and sumac with walnuts and chopped onions are needed for making the stuffing. Usual ingredients makes the dough, its like a child play actually.Actually my lil one enjoyed thoroughly doing this fatayer with me, he did everything by himself i just helped him by giving instructions how to fold and how to fill the rolled dough. See how easy these fatayers are. Since Vegan and butterfree fatayer is baked in oven, they are seriously very healthy when compared to other deep fried starters. You can make a bunch of Fatayer in one bake, this spinach triangles are definitely a crowd pleaser. Walnuts added in the stuffing gives an excellent nuttiness to this simple spinach filling. Seriously we loved munching them and trust me this Fatayer makes an excellent evening snacks, they doesnt need any sauce or dips to serve along with.For our this month's Home Baker's Challenge, a monthly baking event where we bake varieties of baked goodies, the host of this month is Rafeeda suggeted a couple of Arabic bakes, i should thank her for pulling us for making this beautiful fatayer which was quite unknown for me. Thanks Rafee sis for giving us beautiful Arabic bakes and we loved these Fatayer very much. Take the flour,salt in a bowl, add the oil mix well with fingers, now add the warm water and knead it as a elastic dough. Shape the dough as 2 inch diameter balls, keep aside and cover it with damp cloth. Preheat the oven to 425F.Line a baking sheet over a baking tray. Take the spinach,chopped onion, lemon juice oil,salt,pepper powder, walnuts, sumac in a bowl, toss everything well. Roll the dough as small disc, place enough filling in the center. Close the dough and form into triangular shape. Repeat the same process with other balls. Brush the shaped Fatayers with oil and bake for 10-15minutes until the crust turns golden brown. Yummy snack .. Hubby will love it as he prefers not so spicy dishes. fatayer looks yummy priya! !love to grab some now. These look absulutely delicious and I love the way you have folded the triangles. Looks so tasty n healthy fatayer!! Fatayer looks delicious....... Yummy snack ! Kid friendly prep as you say!, they look yummy. 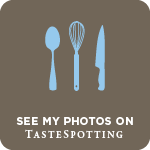 Fatayers look fabulous, am sure they taste delicious, must try them sometime..